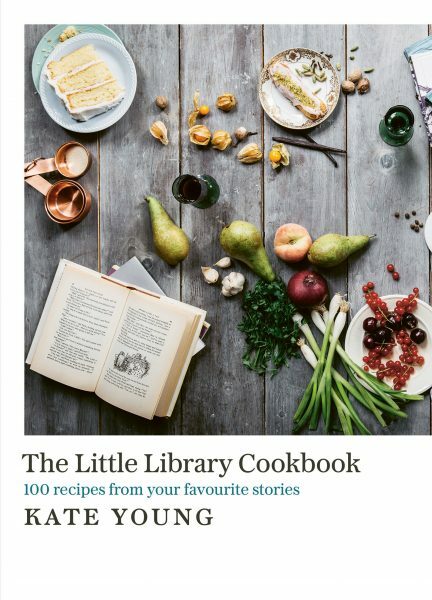 Leap into the unknown and enjoy food blogger Kerry Teakle’s food and drink related shows this Fringe. Bon appétit. This year’s Edinburgh Fringe officially starts today. With 3,548 shows taking place across all genres, there’s something for everyone to enjoy, including foodies. I’ve taken the hassle out of working your way through the programme and bring you my selection of food-related shows to tempt you during the next three weeks. Every August thousands of performers and audience members flock to Edinburgh to leap into the unknown, to celebrate the secret spaces, unexpected discoveries and spectacular sights that make the Fringe so special. 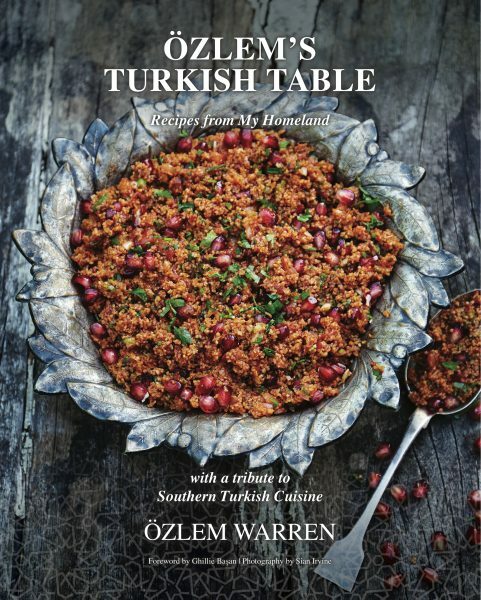 There’s also the Edinburgh International Book Festival, which officially starts next week, who are serving up a couple of afternoon teas with recipe blogger, Kate Young of the Little Library Cookbook and cookery tips from Özlem Warren who will be sharing her love of food from her homeland, Turkey. You also get a delicious afternoon tea served up in the price of your ticket. Back to the Fringe. Australia’s singing cook, Michelle Pearson, will be presenting Comfort Food Cabaret in its UK debut at the New Town Cookery School. You’ll be serenaded by the soulful songstress as she cooks comfort food-inspired three-course meals before your eyes. If you want a whole evening of entertainment, enjoy a four-course dinner and haggis at a cabaret dinner with the Famous Taste of Scotland Show, in the beautiful 17th-century setting of Prestonfield House. Expect song, dance, drum, fiddle, accordion, bagpipes and kilts galore and the opportunity to ceilidh dance so you can work off all those calories you have consumed. Or you could experience all that is great in Scotland, Burns Night, St Andrews, Hogmanay as you are served up a three-course meal interwoven with songs, storytelling, comedy and whisky in A Year of Scotland in a Meal at the Scotch Malt Whisky Society. Escape the bustle of the city and take a number 7, 37, 47 or 67 bus for some tastes of the Orient at the Krua Cookery School. Join in the Amazing Bangkok Thai Street Food Cookery Workshop by chef Rujira Herd where you can try your hand at making three Thai street food dishes or the Delicious Thai Cookery Workshop, a 100% hands-on class with take home recipes. Lunch is included in both classes. 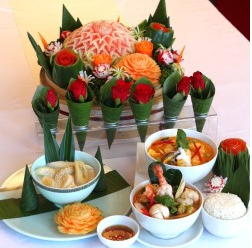 Or you can learn to make traditional Thai noodles at the Bangkok Superior Pad Thai cookery masterclass. Another way to escape the main Fringe activity in the city is to head to Inverleith Park for Foodies Festival, which starts today and continues until Sunday. 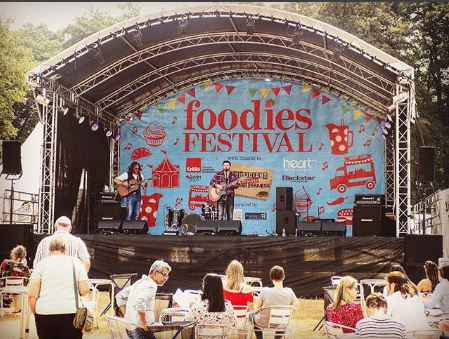 The UK’s biggest food festival returns with an exciting launch of a new music stage too. The festival will celebrate live music into the night on the newly launched stage with performances from Toploader and The Hoosiers. Supported by Musicians Against Homelessness, the live music stage will see talented emerging bands and solo artists perform with tickets raising money for UK-wide homelessness charity Crisis, with all funds being donated to help homeless people in Scotland. An all-star line up will be cooking up a storm in the Chef’s Theatre, while the Drinks Theatre will welcome expert mixologists and sommeliers to the stage, with Wine Tastings and Champagne Tastings from Diana Thompson, as well as speciality Craft Beer Tastings. With a new expanded Kid Zone and Kids Cookery Theatre, pre-loaded super soakers and giant games, Foodies Festival is a fun day out for the whole family. 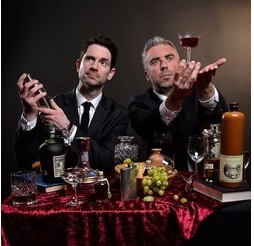 If spirits are more your thing, mix some music with two of Scotland’s major exports at the Whisky and Gin Tasting Cabaret at Hill Street Theatre. Three free samples of either whisky or gin are included in your free shot glass, as you find out how whisky and gin are made. Alternatively you could join the Scotch Malt Whisky Society’s brand ambassador for A Dram Is Worth A Thousand Words where you will be treated to a three dram tutored whisky tasting like no other. And for one night only, you can join Charles MacLean’s Whisky Masterclass where you can learn from a whisky legend and taste a selection of whiskies from across Scotland. Fringe veteran Gordon Dallas will be serving up a unique, interactive whisky experience with matching nibbles at Cannonball Restaurant and Bar on Castlehill, exploring Glengoyne Distillery’s whiskies in Unhurried – Glengoyne’s Whisky’s Inefficient Tradition. 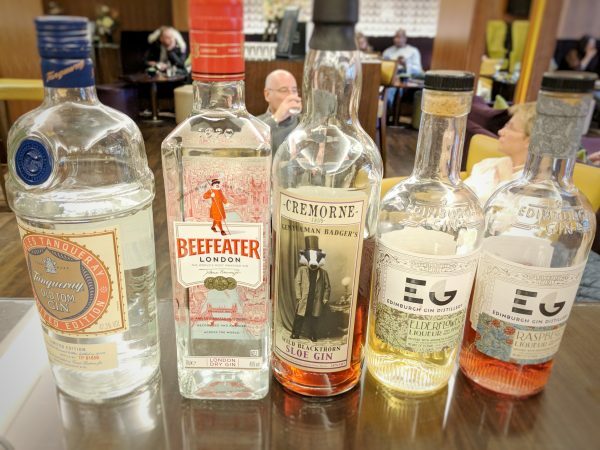 If gin is your preferred tipple, get off the tourist drag and join Nell Nelson on her guided Edinburgh Gin Safari walking tour. See the New Town through gin-tinted spectacles, with gin cocktails, G and T marshmallows, chocolates and gin-cured salmon. At the Arbikie Gin Masterclass at Merchant’s Hall, you can taste and learn all about Arbikie’s family of world award winning field-to-bottle gins from the Arbikie Ambassador team. Arbikie is both the current world’s Best Martini champion and also Scottish Gin Distillery of the Year. Still on the subject of alcohol, after seven years of sell-out shows, The Thinking Drinkers return with a brand-new, hilarious, intoxicating bar-hop through history in Pub Crawl. Enjoy five free drinks as the award-winning experts take you from the symposiums of Ancient Greece to the classic British boozer via Wild West saloons, Victorian gin palaces and the secret Speakeasy. If last year’s show was anything to go by, you’ll learn and laugh a lot, and don’t forget, you get five free drinks. For those looking for a more temperate option, check out Tea with ‘Mr Jenners’. Delicious full afternoon tea hosted by the shopkeeper of Scotland’s oldest department store. Hear stories of life in old Edinburgh within the splendour of Jenners’ historic wood-panelled compact Boardroom. For a real treat, book yourself into Edinburgh’s finest afternoon tea at Colonnades at the Signet Library. Booking is highly recommended. For something a bit more cerebral, immerse yourself in some theatre in a new play based on Nigel Slater’s award-winning autobiography Toast at the Traverse. Vividly recreating 1960s suburban England, Nigel Slater’s childhood is told through the tastes and smells he grew up with. This is a tale of love, loss and . . . toast. You certainly won’t be going hungry this August. Leap into the unknown and enjoy my food and drink related shows this Fringe. Bon appétit.